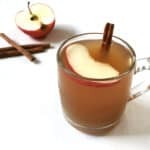 Spiced Apple Cider Shandies are the best way to enjoy fresh-squeezed apple cider on a fall day! I remember going as a kid and picking fresh apples right from the trees, sipping on fresh apple cider and juice and bringing those juicy babes home for one of my mom’s signature apple pies. When I saw cider from a local orchard at the grocery store the other day, though, I knew there was a great cocktail in my future. 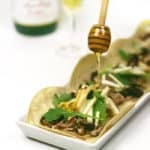 I paired it with a seasonal-spiced beer for an autumnal spin on the classic shandy. (Remember these Strawberry Lemonade Shandies from this summer?) There is a warm sweetness to this drink, making it perfect for autumn. 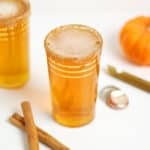 When choosing your beer for this cocktail, I would recommend against pumpkin beers. Look instead for a beer that boasts notes of caramel, malt, cinnamon, toffee or ginger. An Oktoberfest brew or a spiced brown ale will do nicely. Add a slice of fresh apple and a cinnamon stick for garnish. P.S. Not a beer person? Let me recommend you use your apple cider in this Spiced Apple Cider Rum Punch or these Gourmet Apple Cider Bourbon Jell-O Shots instead! 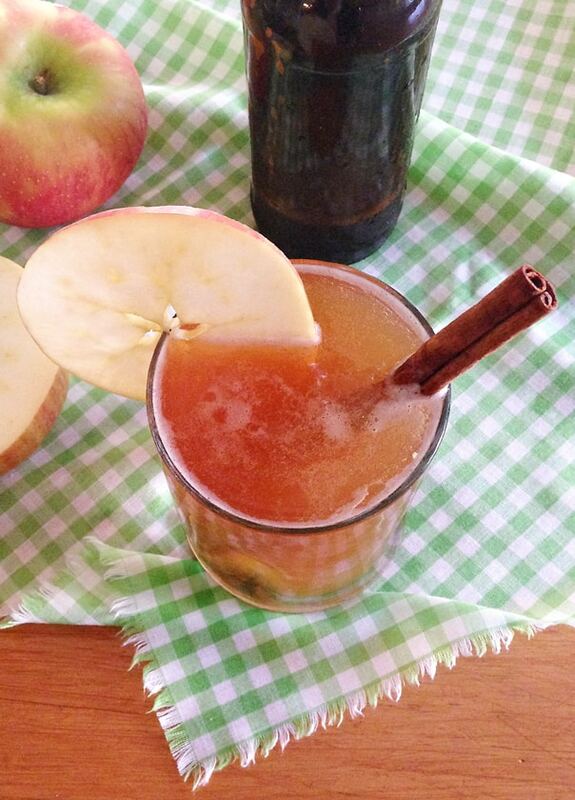 Click below for the recipe for Spiced Apple Cider Shandies! 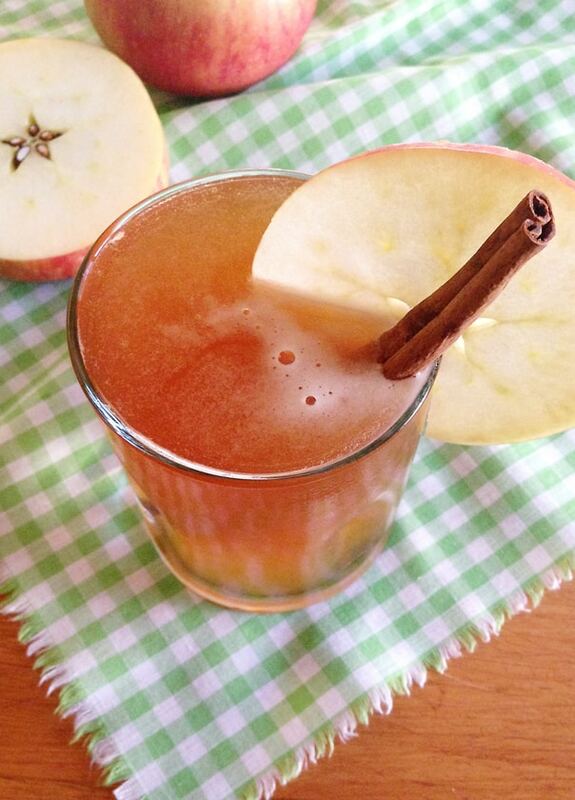 Fill an old-fashioned glass half-full with apple cider. Slowly, top with the beer. 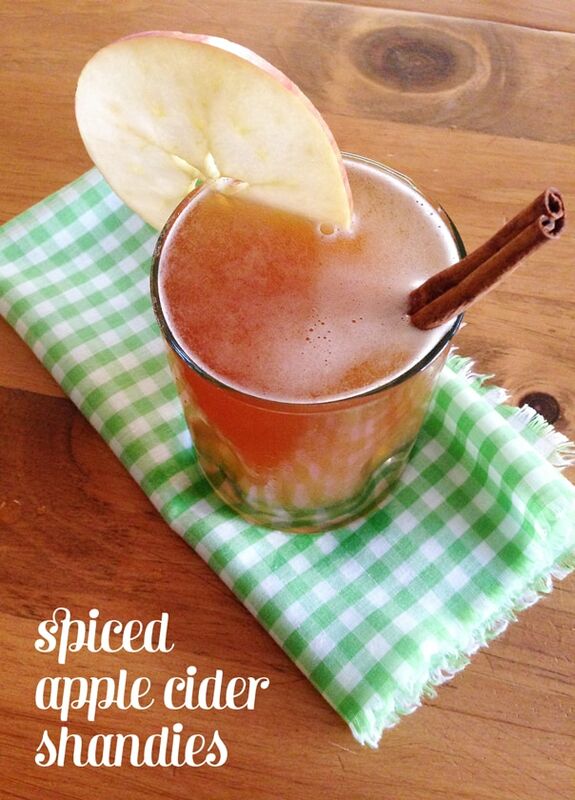 Garnish with an apple spice and a cinnamon stick. Who knew a drink could be this easy?! I sure cannot wait to try this! Let me know if you love it as much as I do, Madison! Every year I beg my husband to go apple picking with me, but he refuses 🙁 Oh well, maybe someday! 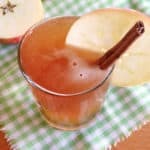 I love this cocktail – it is so perfect for fall!! Let’s promise each other we’ll go apple picking this year! Solo OR with friends. Deal? !